To keep our administration costs low, and therefore allocate more funds towards promoting Royal Leamington Spa, email is the most cost-effective way for us to disseminate information to the businesses in our area. In order for BID Leamington to keep you up to date with information, could you please ensure that we have your correct details and current email address. If you are new to the business district, please contact us to arrange a meeting so we can discuss BID’s activities and how you can get maximum value. 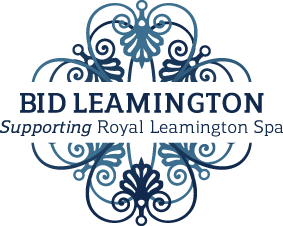 In order to be included on the Royal Leamington Spa website and in our as soon as possible, please complete the BID New Business Contact Details Form. If you have a business in the BID area which is valued below £7500 and you wish to become a voluntary BID Member, please download the BID Voluntary Membership Form as well as the New Business Registration Form above.